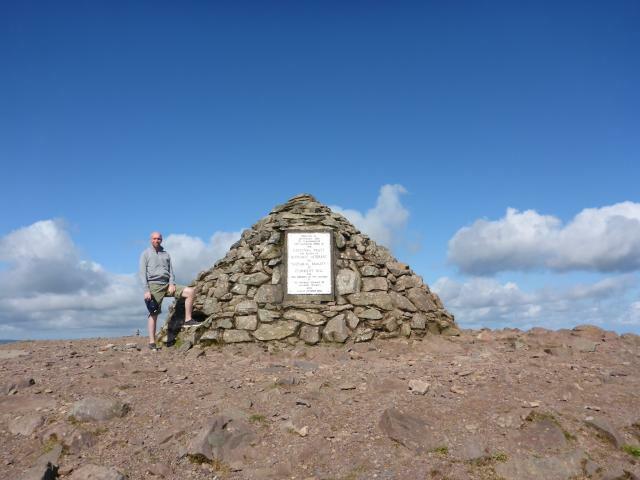 There are 45 photos for this trigpoint (view album). See 39 more in the album. Visited with P61 and Brunshaw, on our way home. A fairly gentle walk up from the car park to the east. Reasonable views today but a bit hazy. 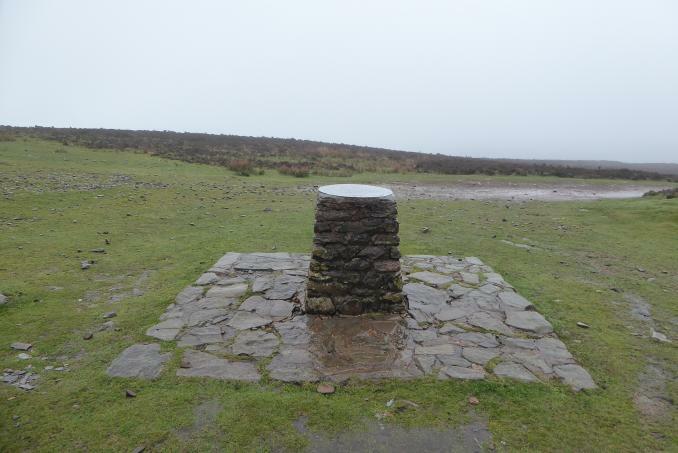 Although no pillar remains, nevertheless quite an interesting location as the Exmoor high point. 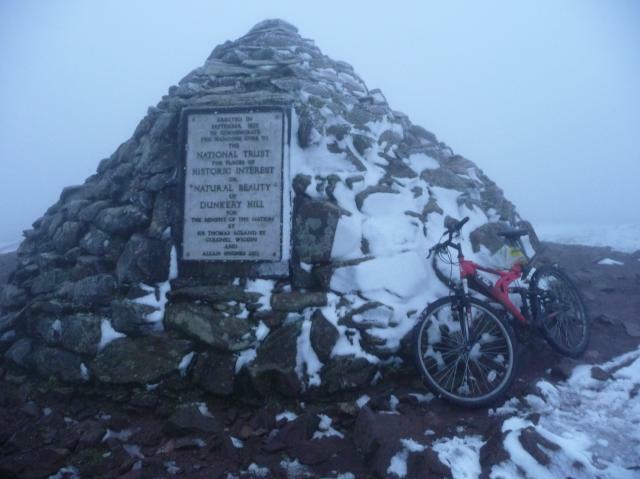 Given the Pen y Fan treatment by the NT, not impressed. It's little acts like this which rile at least a farmer or other landowner has some reasoning to do with profit/security...Hey ho, beautiful place and dramatic cloudscapes. The southern excursion will have one last trig for me so box ticked happily elsewhere. 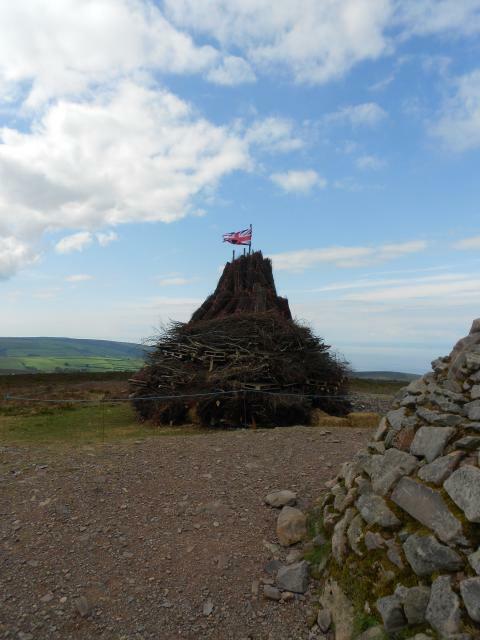 Thanks to the logger with the trig photo - nice bit of historical record. Rather charming little plaque. 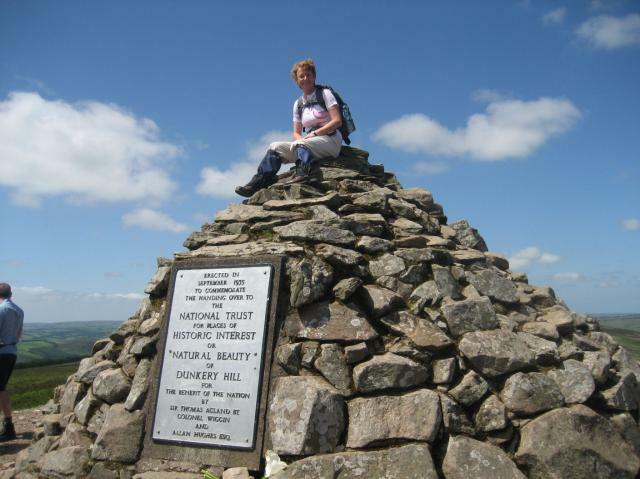 As featured in Mr Dawson's hillbagging book - ahh. 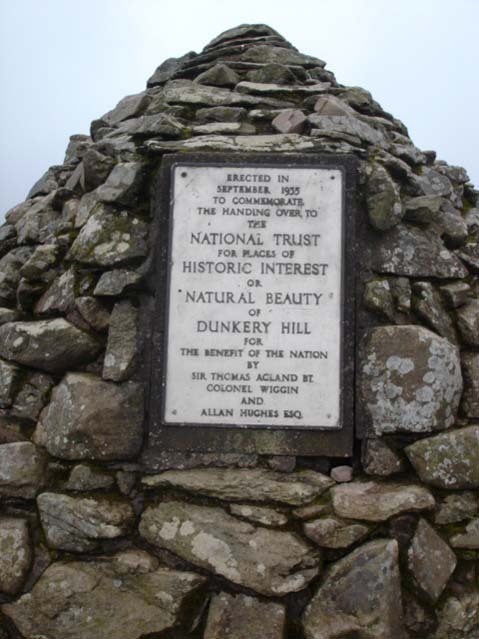 Visited Dunkery Beacon on a walk from Horner as part of my Walk 2,018 miles challenge. Couldn't find it surprisingly enough as the flipping National Trust destroyed it. A body dedicated to preserve the nation's artifacts and structures for posterity. It's hardly a wonder I let my membership lapse. 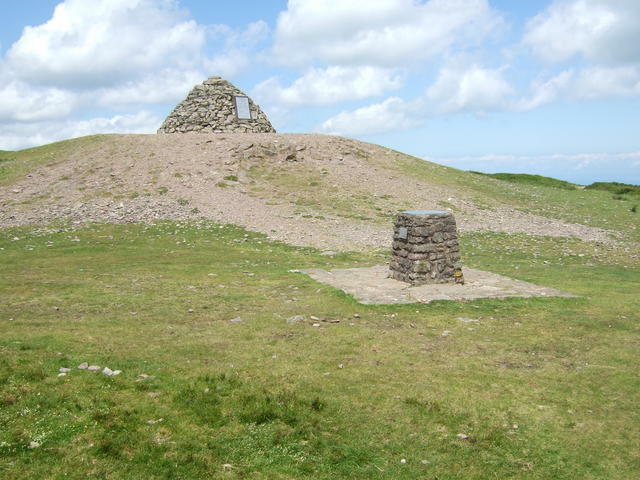 Why couldn't they have extracted the spider and flush bracket and incorporated them in the superstructure of their cairn on the summit as has happened on the summit of Shropshire's highest point Brown Clee Hill. Still a fine spot. Wales was visible as was Dartmoor. 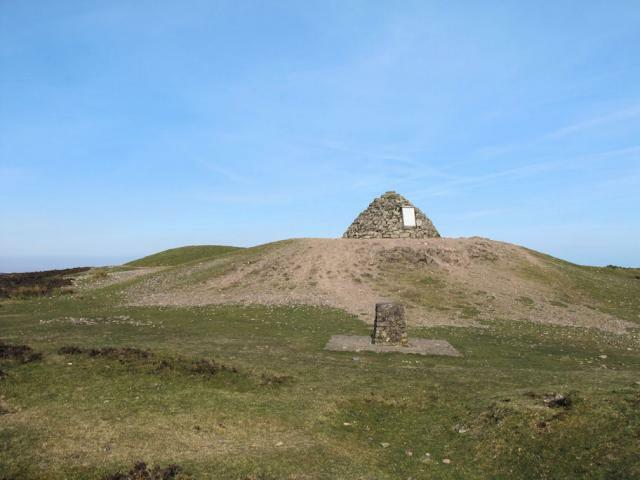 On a much clearer day this must be a fantastic spot for views all around as any county highest point should be. Steady, enjoyable plod up from the hotel car park in Wootton Courtenay, then back via Dunkery Gate, Spangate and Digland Lanes - lovely walk in improving weather. Could see Welsh coast but not Dartmoor. 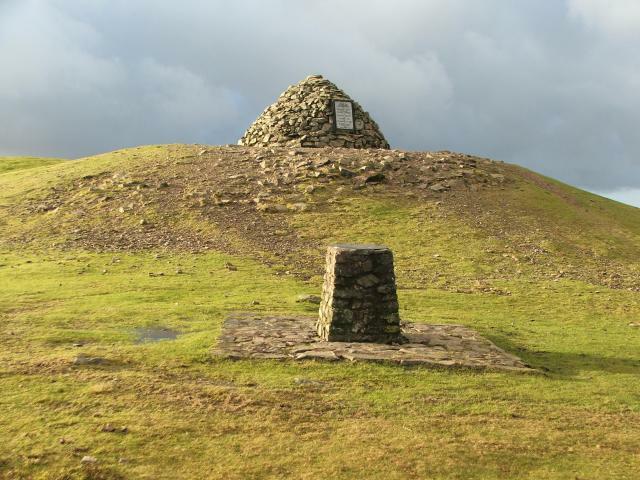 I like the NT cairn and the toposcope, which is like a chopped-off trig after all! 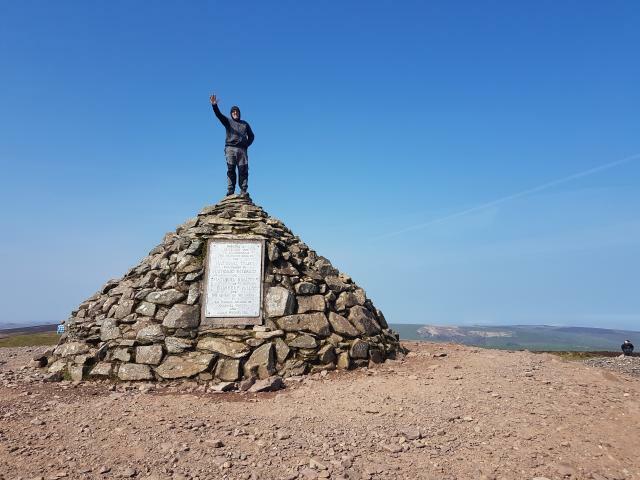 Great area walk and views sunny as well sadly no trig do the national trust have a thing about destroying pillars south wales looks good from here too. So windy at the top today I couldn't stand up. Fog bound snow on ground . Visited during a very wet week camping with the Scouts in the valley below Dunkery Gate! From Dunkery Bridge, then onto Great Rowbarrow on a lovely warm, sunny day with good all round visibility. anothwr soggy day. 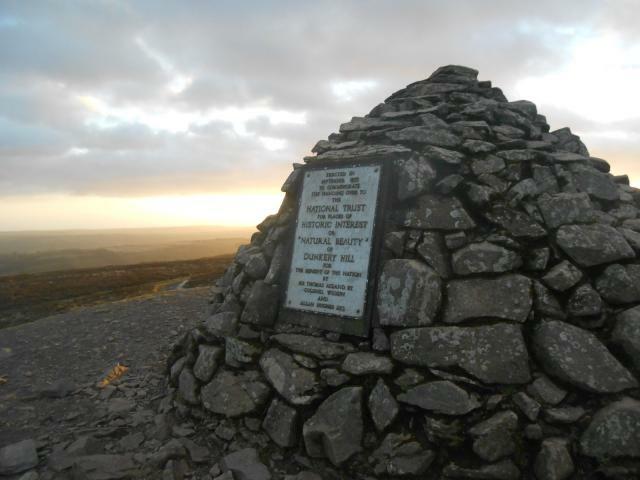 the cairn is impressive fair play. but no trig. topograph near by. Didn't read reviews before I tried to find this one. For one scary moment I thought they'd built the Jubilee beacon on top of it so actually quite relieved to check there and then on ths website that it's missing. Rather disappointed to find the pillar gone. Official vandalism? Rather hazy on day of my visit but still enjoyed the walk. 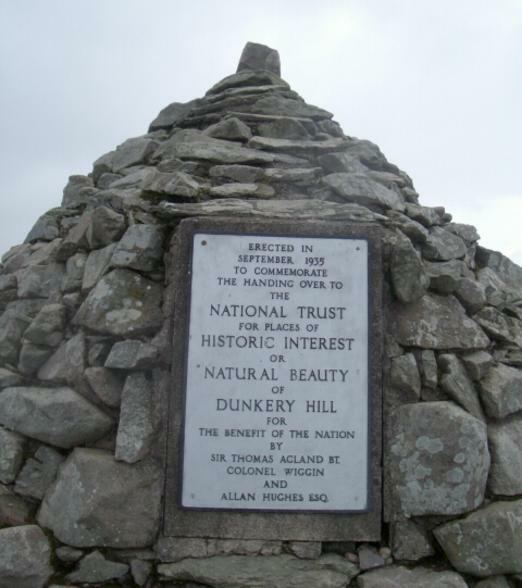 We walked up from Dunkery Gate hoping, amongst other things, to find a trig point. No such luck! 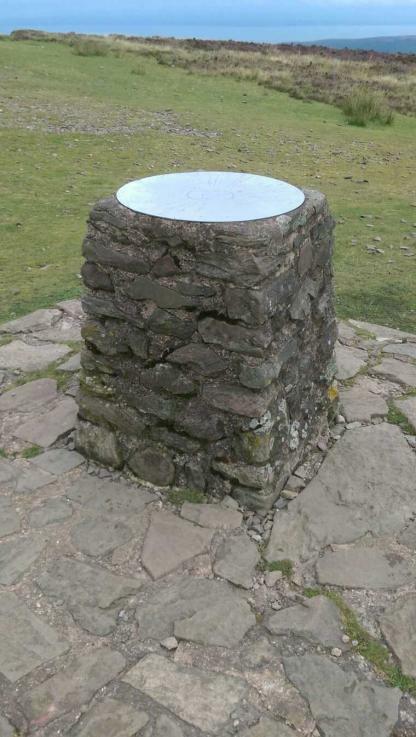 Nice blustery morning for Somerset's high point - toposcope taken as an honorary trig but intrigued to know what happened to the original which has been gone for some time. I jokingly suggested to Shorty & Extra Shorty that someone moved the cairn and it was hidden underneath and quickly had to make clear they shouldn't dismantle it. 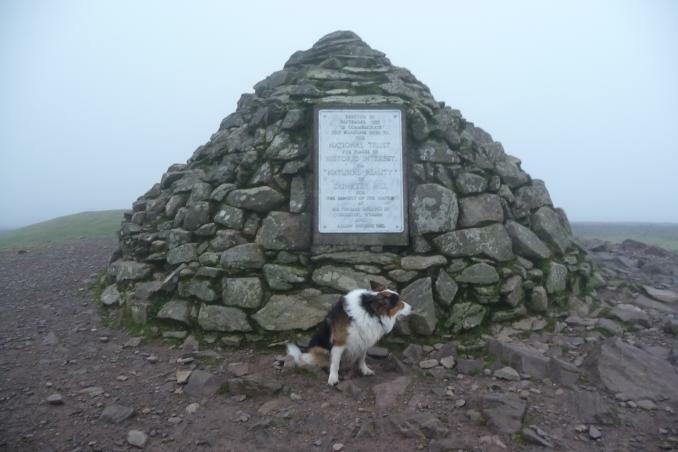 Knew this trig was missing but made the effort to climb the hill from Dunkery Gate as a Marilyn bag. 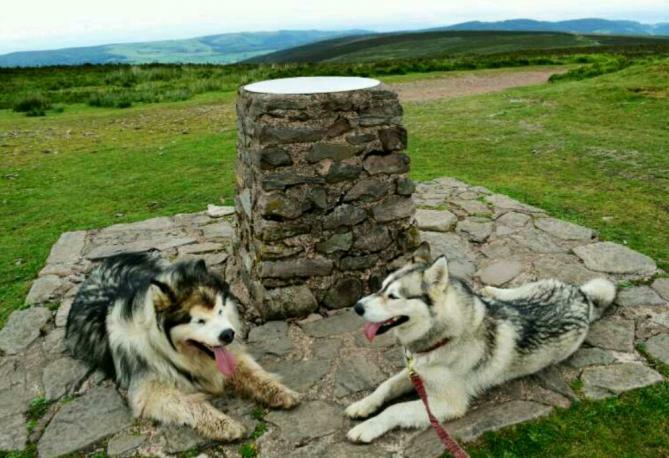 Nice summit, great sunny views. Used Blackberry app to see if I was at correct location. See for miles from here. 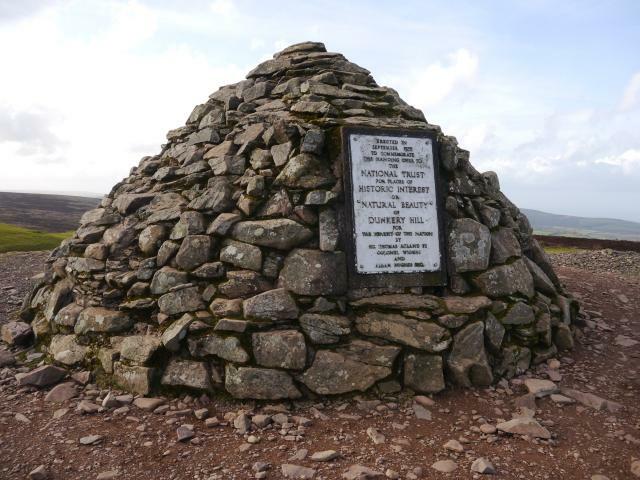 Nice cairn, but no trig anymore, although it was there on my previous visit in May 1990. Am sure this TP has gone as earlier logs have stated, however I logged as CFI because I was lucky to locate the NT cairn due to bad fog. Gave 6 in respect of the heavy challenges bestowed upon me by the weather. 10th Jun 2011 09:50 by Found It!Where Next? Can remember visting here many times back in the 70's when we use to holiday a lot at Minehead & Dunster Beach. 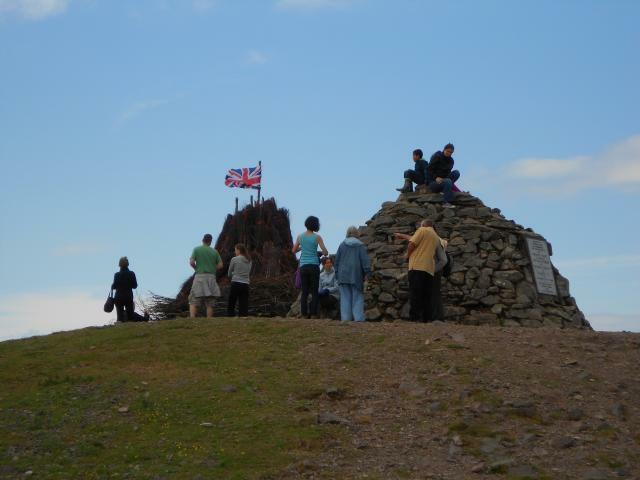 Came up here when they celebrated the Queen's Silver Jubilee by lighting a bonfire which was a way back in the old days of warning of an invasion! Sunny day but mist hanging around,could just make out the Welsh coast. 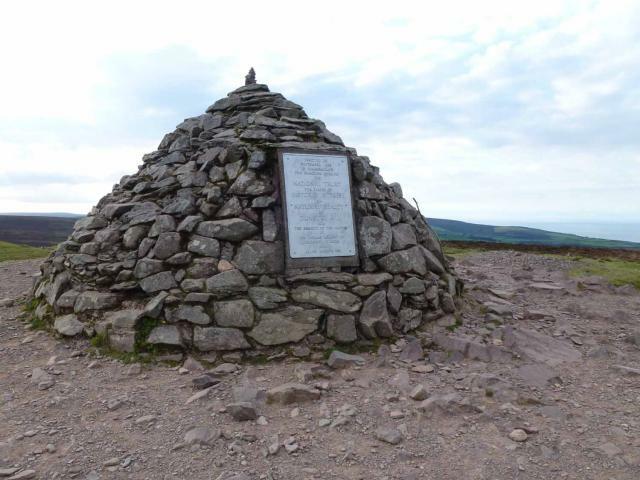 Impressive National Trust cairn built at the summit, but no trig pillar. Some good views from here, but not outstanding. Lots of rough moorland, which is to be expected as we're on Exmoor! 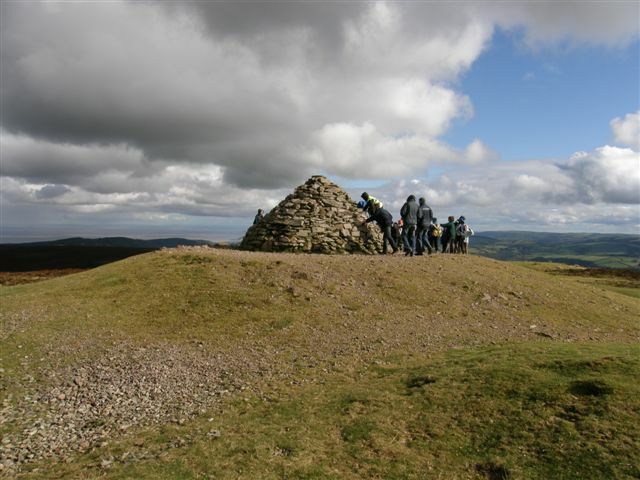 16 mile walk bagging Perriton Hill and Dunkery Beacon. 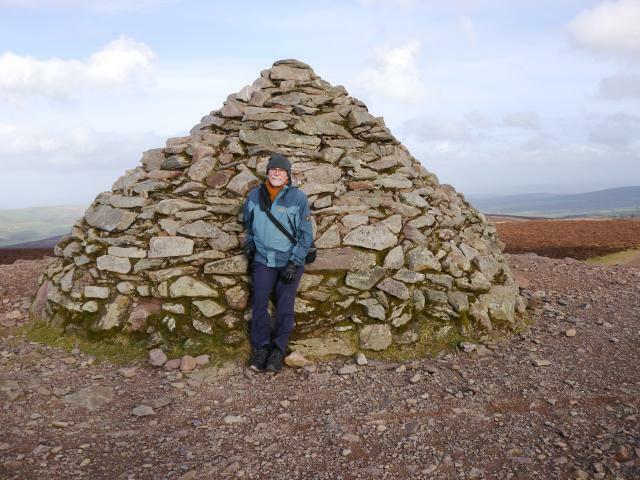 My friends offered to help me move the cairn to see if was still underneath but I thought that may be going a bit far. Made a day of it by doing a circular walk from horton. The only let down was seeing Wales get beaten by England in the rugby afterwards. 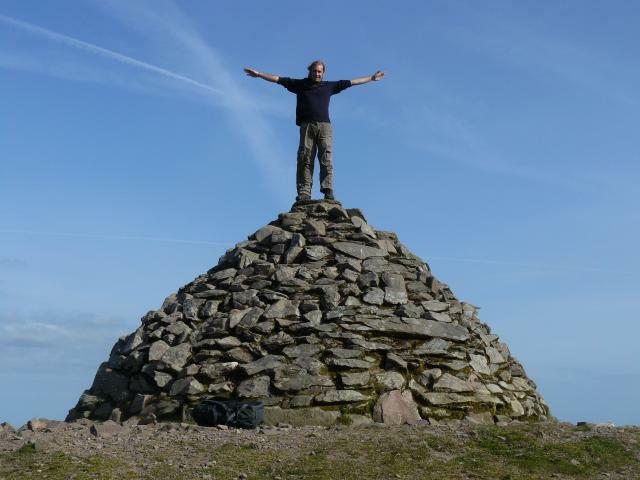 No longer a trig point, but still worthy of a good mark due to views and location, there is a large cairn, but no longer a trig. I didn't know this was missing as I didn't check here first. I saw the symbol on the map and walked up as I was passing. Good job I didn't make a special trip! Excellent views though... even as far as Dartmoor and Bodmin Moor. Another visit, 29 years after last. 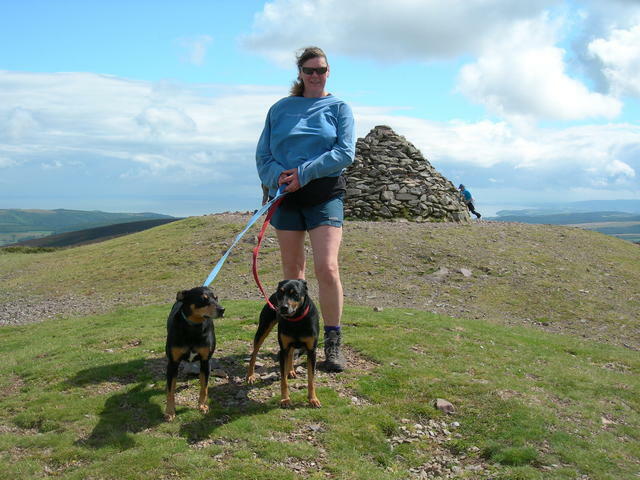 No Trig Point(s) but still a great location - Amazing views. 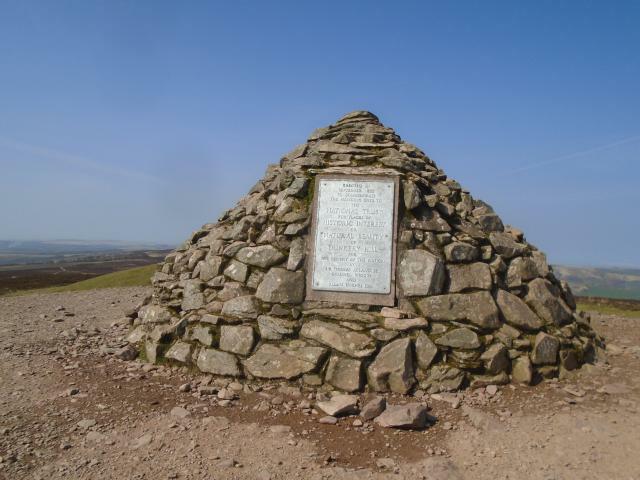 nice walk from the car park to the north east,somerset historic county top. Definately gone. 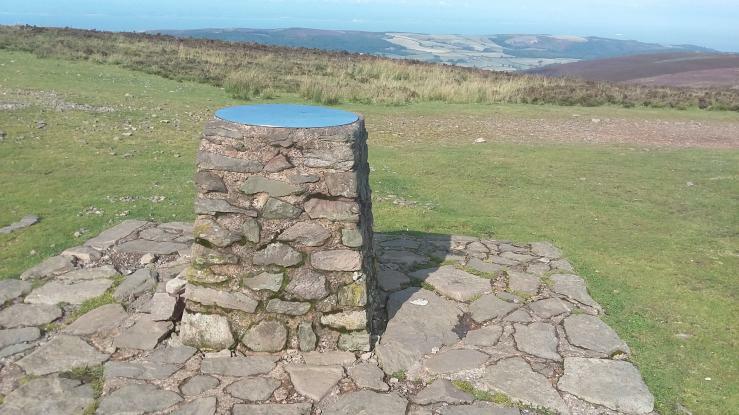 Walked up from Porlock, good views. 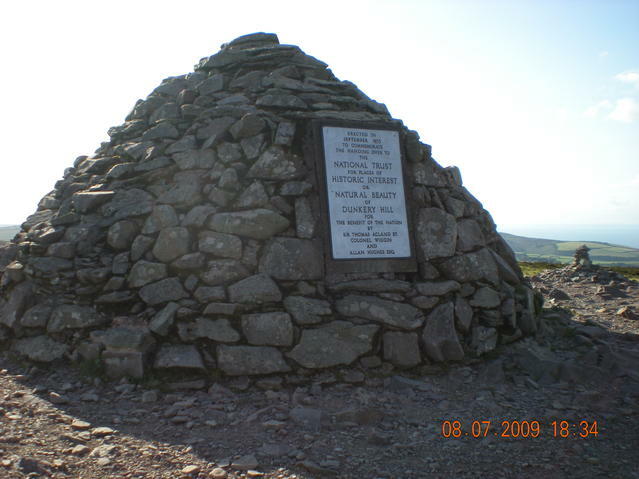 OS trig archive indicates <Buried block> and also <Pillar dest 07/93 Bottom bolt still in situ. Flush bracket number was S1528>. 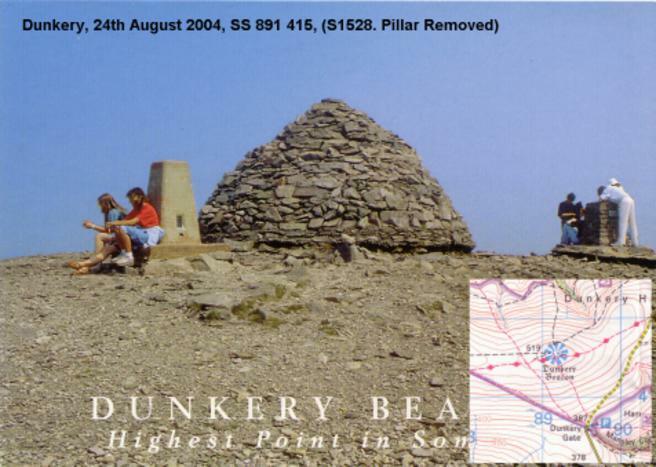 Carefully comparing Isoceles postcard (my photo is from same direction) and Dustys 1980 photo which I had with me, it appears the trig was close to the N edge of the main cairn. 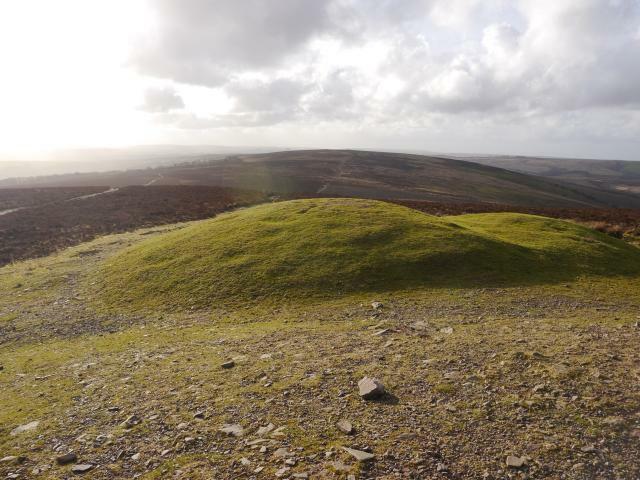 The NT pillar near the SE edge has been moved back, and the low circular shelter cairn in Dustys photo has gone: just a smallish low cairn remaining there. 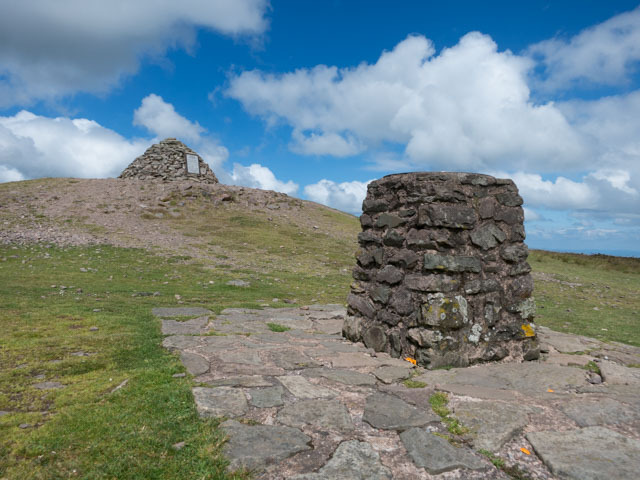 I take it the NTs main purpose in removing these later structures was to enable the cairn to be seen free of <clutter>. If so, they could at least have resited the pillar as they did their own pillar. I could find no trace of the Buried block (guess it is buried...) but there should some remains down there somewhere, hence logged CF. 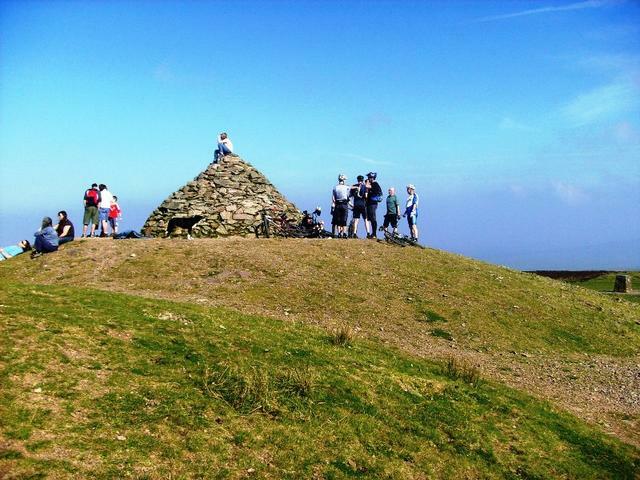 Busy summit on a sunny Sunday, so not feasible to go digging. Can't give a mising pillar a high score but great views. Why was it removed? pic of trig taken from old book. pity its gone! Dry and clear again an easy tick. 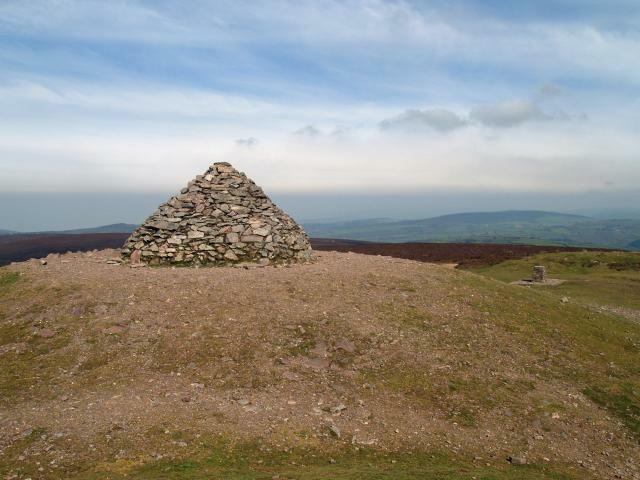 which is the greater monstrosity, the tp which the nt saw fit to take away, or the big artificial cairn of no great antiquity that the nt built itself ? 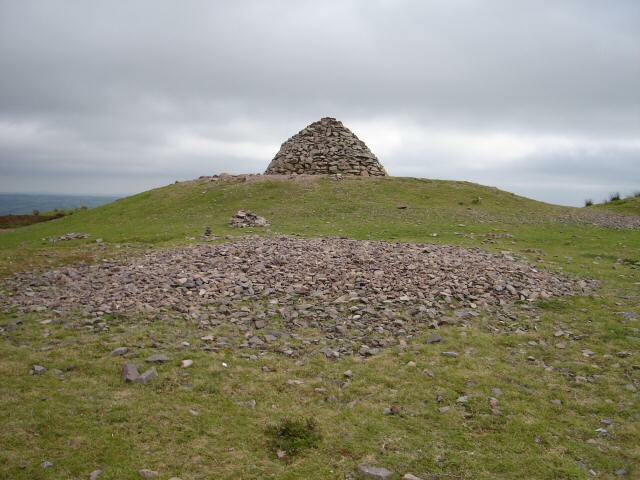 Missing-huge cairn of stones on the site. OS list the plug as S1528. 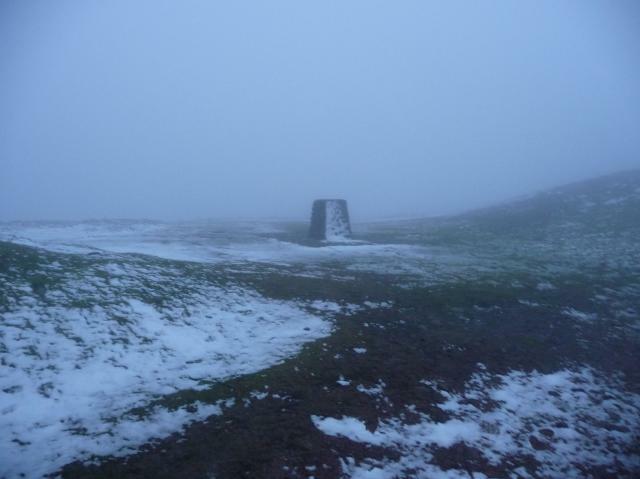 I already knew this trig was missing but great views from the top! Knew already that it was missing but still a location that needs visiting. Included on walk 24 in O.S. Pathfinder guide which (1999 edition) has a picture of the former pillar! Some landscaping has taken place since. An RAF Hawk flew over at very low level to make up for disappointment. Driving heavy rain and thick fog. 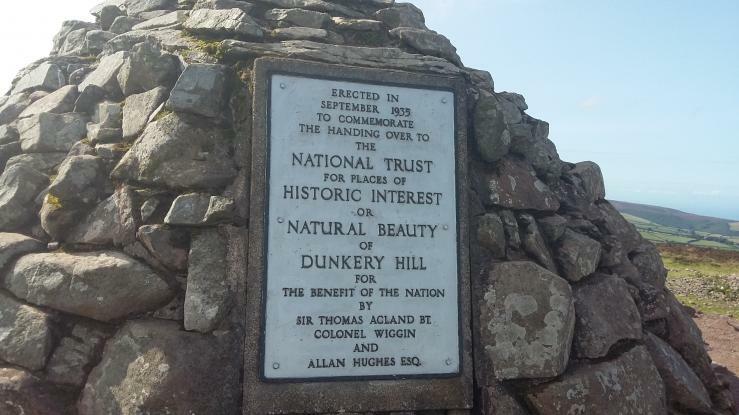 Leading party from Holnicote to Dunster. Seem to remember a trig point here many years ago. Trig still shows as a blue traingle on the OS Explorer map OL9 (1:25 000) published 2005, although not on an earlier 1:50 000 edition. 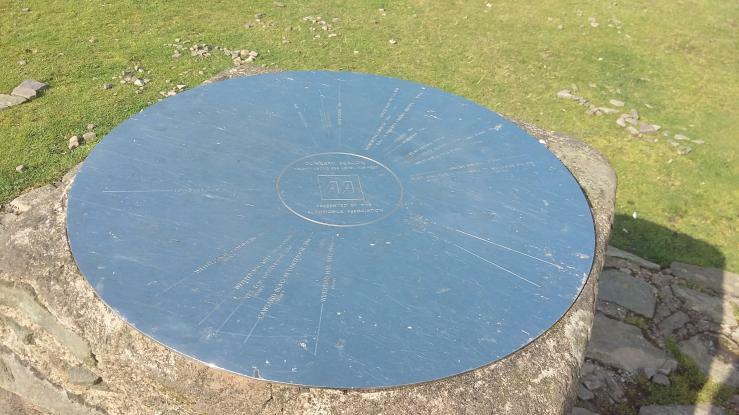 Very disappointed not to find the trig at the top, especially after a dnf on a geocache at the bottom! Given the choice between doing Christmas shopping or being up here, I know which one I'd always take. It was a beautifully clear day, with views in all directions, even over to Wales. Grid reference is of the viewfinder. Looking for the buried bolt? 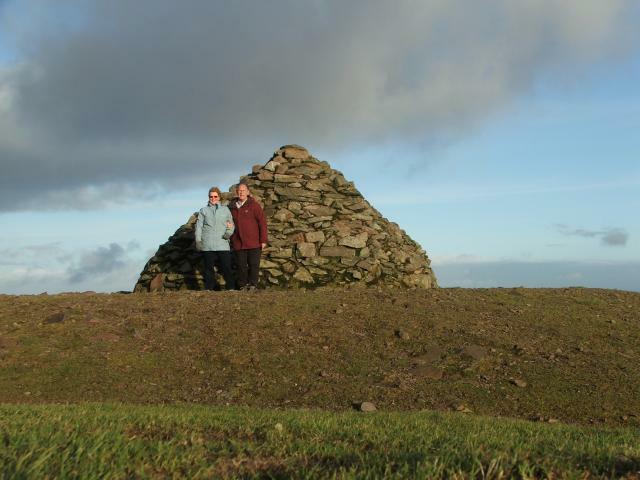 Walked to Cairn with my wife, but trig point removed by National Trust to protect Bronze Age Burial mounds. Stakes in place ready for further protection. Great view from cairn. 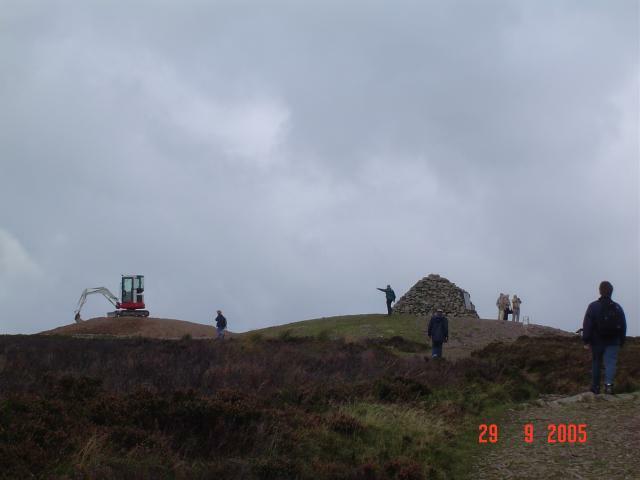 Pillar missing presumed removed by National Trust to resurrect some 'Bronze Age' cairns. 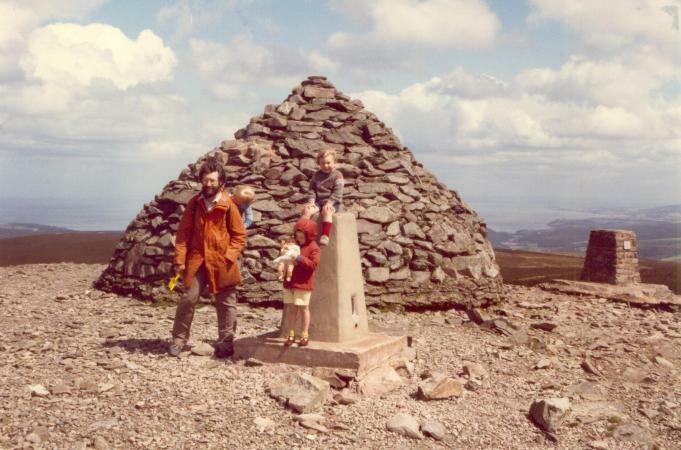 Bought a postcard in Porlock showing the trig point before restoration work on the cairns began. 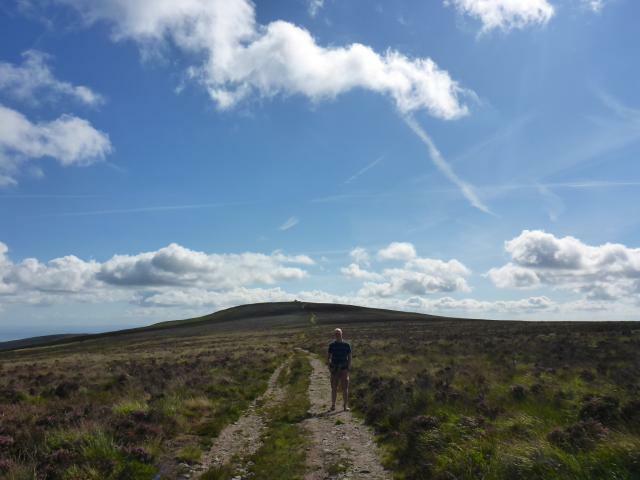 Straightforward walk up from the road - no sign of any pillar at the summit. 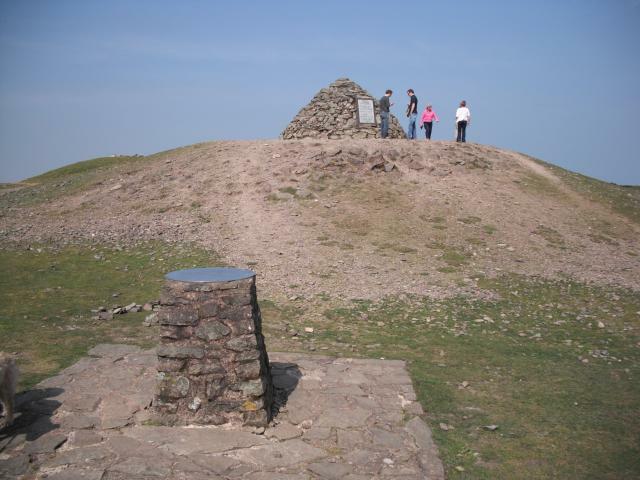 Highest point in Somerset. 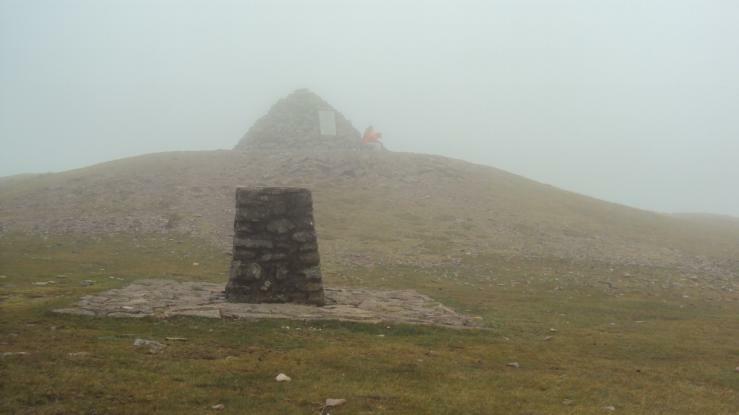 There is a viewfinder here and a large cairn but no trig. This was a primary, originally S1528, later 11044 according to the OS. 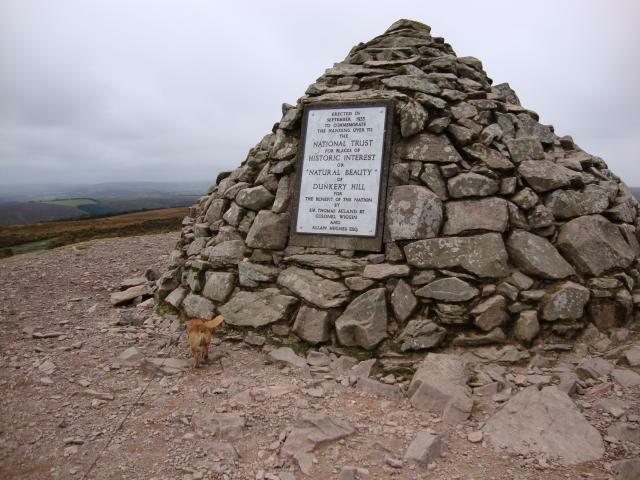 Climbed this one on our first visit to Exmoor. 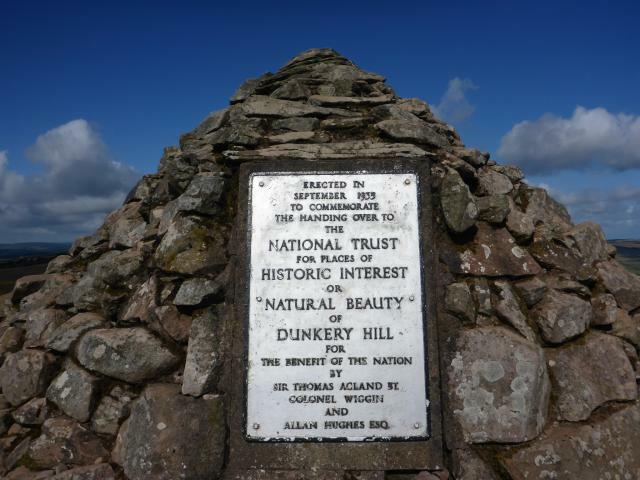 Went to Dunkery Beacon back in May 1990. 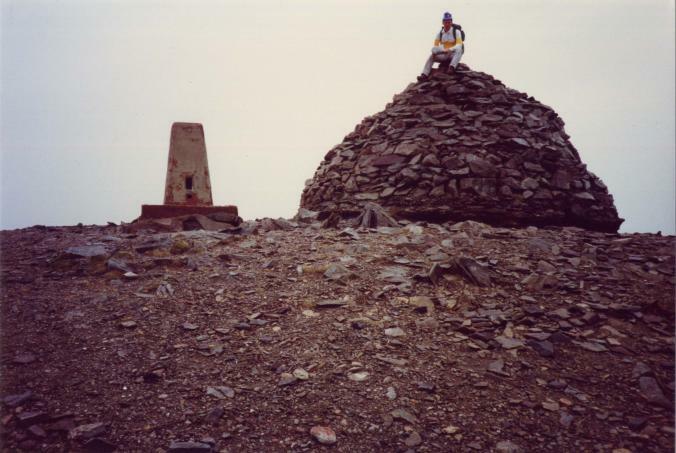 Picture shows me sitting on top of the cairn by the trig. Unpainted pillar on base beside the big mound of stones. Easy walk up via well defined paths, although some closed to allow recovery from wear. Food supplied along the way in the form of wortleberries. Now missing, was very much intact on my visit back in the 1970's. Somerset county top with a big view to South Wales. Was 1528 at first.